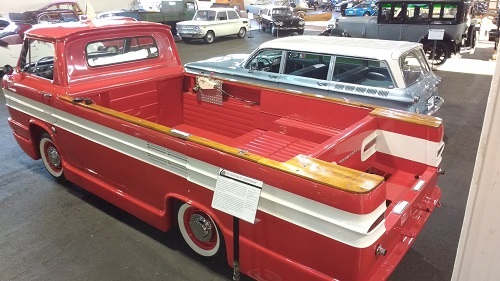 In 1961, Chevrolet introduced the Corvair 95 Greenbriar van and Rampside pickup. 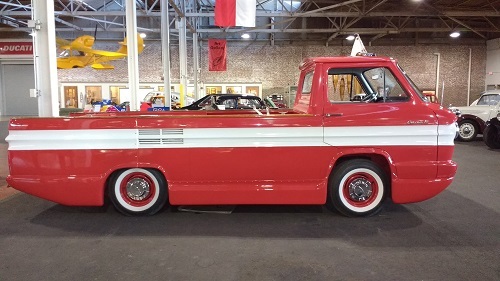 Using a shorter 95-inch wheelbase, the van and pickup expanded the Corvair model range now comprised of a sedan, wagon, coupe, convertible, van and pickup. 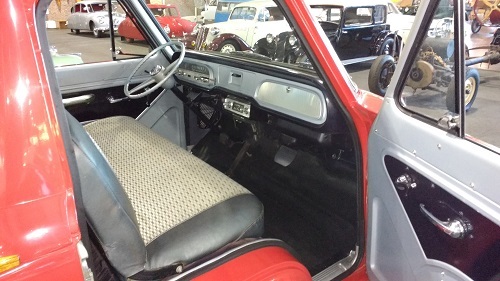 All were equipped with air-cooled, flat six-cylinder engines and either a manual transmission or two-speed Powerglide automatic, and, like so many inexpensive cars of the era, could be equipped exactly as the customer wanted. 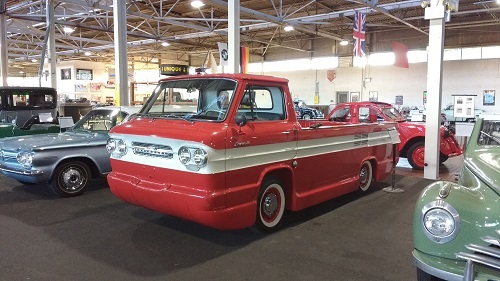 One Corvair that largely went unnoticed was the Corphibian prototype. Chevrolet engineers Richard E. Hulten and Roger D. Holm of Pontiac, Michigan formed an outside company called Hulten-Holm Co., to build their prototype; it was not an official Chevrolet project. The amphibious vehicle is based on the Loadside Pickup, truly escalating an already capable vehicle. Featuring an extended bed and full fiberglass hull, the concept would allow users the opportunity to enjoy both terrestrial and aquatic travel, not dissimilar to the Amphicar Model 770 launched the same year. Unlike the Amphicar, however, only one Corphibian, the example seen here, was made. Hulten-Holm Co. hoped Chevrolet would purchase the design and put it into production, although this never happened. Retaining its original air-cooled engine, automatic transmission, and two propellers after many years in storage, it’s been refreshed in the correct red-and-white livery. Most marine controls are all located in the bed: Drive engagement, foward/reverse, steering, while the throttle can be controlled from the cab or bed.